Incepted in the year 2002, at Rajkot (Gujarat, India), we, “Prashant Engineering,” are a renowned manufacturer of a comprehensive range of PVC Pipes, Pipe Fittings, UPVC Ball Valves and ABS Pipe Fittings. 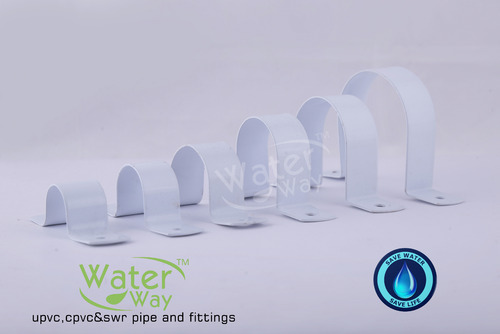 Our offered product range includes PVC Hose Pipe, Polyethylene Pipe, PVC Suction Hose Pipe, UPVC Column Pipe, UPVC Pipe, Brass Faucet, Pipe Coupling, Pipe Nozzle, PVC Long Plug, Nani Trap, PVC Service Saddle, Mild Steel Ball Valve, P.P. Solid Ball Valve, CPVC Ball Valve, Foot Valve and ABS Swan Faucet. These products are fabricated using the finest grade raw material and sophisticated technology. The offered products are designed with high precision under the supervision of our experts in order to meet the international quality standards. These products are highly appreciated by our clients for their features like fine finish, corrosion & abrasion resistance, enhanced durability, easy installation, high strength, compact design and dimensional accuracy. We offer these products in various specifications as per the specific requirements of clients.